Microchipping is the process of implanting a very small electronic tracking device in to a dog, for the purposes of identification should the animal ever go missing. Microchipping can increase the chances of your lost pet being reunited up to 5 times! It is so effective that in some places around the world microchipping is mandatory. 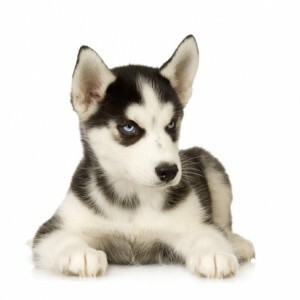 Even if it isn’t required in your state, it is a very wise idea to get your Husky puppies microchipped. Whereas collars and tags can come off or be removed, the chip stays under the skin of the dog permanently. The microchip itself is very small – around the size of a grain of rice. It is implanted with a needle in to the loose skin on the back of a dog’s neck. The dog feels little pain and does not require any anaesthetic. It is not unlike getting a vaccination, and typically at the first vaccination a puppy receives this would be an ideal time to get microchipped. It is a very safe and extremely common procedure that any vet can administer. Microchipping should not cost more than $50 for insertion and activation of the tracking number. Some local councils, agencies and shelters will do it for as low as $15. There is a chance that if you are adopting your Siberian Husky from a shelter, or purchasing from a breeder, the chip has already been implanted for you. Be sure to ask when you pick up your dog so that they can help you update the tracking information. 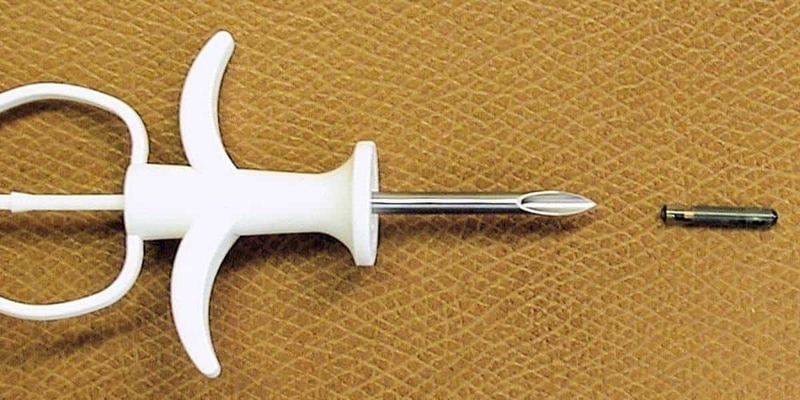 Microchipping uses a very small electric device that this is known as an ‘RFID’ tag. This is not a GPS device. You are not able to look up your pet’s current location on a map! However the RFID will emit a number back to a scanning device (similar to a handheld barcode scanner) and that number can be used to retrieve information on various microchip registers. Registers include Anibase, RFID-USA, Microchip ID Systems, and others. If there are multiple registers how do you know which one your Husky is registered at? Shelters and pounds will check as many registers as they can to find the owner. When the chip is inserted the vet probably has a preferred register that is well recognised in the local area. Just remember to update your details with the register should you ever relocate your pet. Often this is as simple as updating details on a web site or giving them a call. They will need to know where you live and what phone number to call you on should your pet ever be retrieved without a collar and tag. Yes. With millions of pets chipped safely each year you shouldn’t need to worry about any ill-effect. The chips do not raise any allergic reactions, cause any new allergic sensitivities, or cause any tumors or cancers. Even if your Husky is confined to a yard and never let off leash, you should still get him or her microchipped. The cost is minimal and the benefits are valuable. You never know when that lead will break in your park, or your Houdini Husky puppy will find its way out in to the street. Still unsure? Check out this ABC News video of a Husky that ended up hundreds of miles from home, but still reunited thanks to microchip identification.